We're a network of shows that appeal to your geek side. Whether your into comics and video games...classic films...and even wrestling...there's something here for everyone! Episode 33: Wait. You've Never Seen The Muppet Movie? Episode 32: Wait. You've Never Seen Smiley Face? Episode 31: Wait. You've Never Seen Game of Thrones? 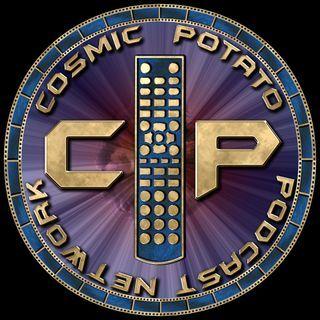 John Irons is the co-host of Cosmic Potato. Our listeners know that he loves all kinds of games. Trivia games, word association games, general geeky knowledge games...you name it and he loves it. Now he's bringing that dedication to the game to his very own show right here on the network. Captain GameShow takes people that you know ... Más informaciones and some new voices as well. So join him as he spreads the cheer. We've got you covered from Marvel to Star Wars, comics, video games, classic films, trivia, and beyond. Every week Shawn, Rick, John, and Virginia break down the good and the bad of each episode of Star Trek Discovery. Join them in their in depth look at the newest installment of the Star Trek franchise. Rob and Zach watch and review ever Wrestlemania...ever. A podcast dedicated to discussing well-known movies and TV shows that one of us has never seen. Hosted by Virginia & Shane.